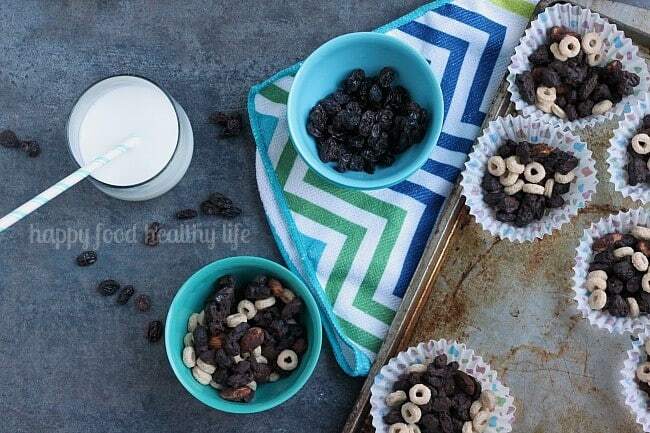 These Dark Chocolate Cinnamon Raisin Clusters are the perfect after-school snack that will keep your kids’ sweet tooth at bay without loading up the junk! Back to school. You’re totally into it, right? The beginning of the year, you’re all gung-ho. Homemade snacks ready for the kids the moment they come in the door. Healthy options. Lots of variety. You are totally a super-mom. And then week two of school comes along, and well… you’re just not feeling as motivated to make it happen. Heck, this get-healthy thing can be a lot of work if you let it be! I’m all about healthy snacks, but I’m also about preparing things that don’t take a whole lot of my time. 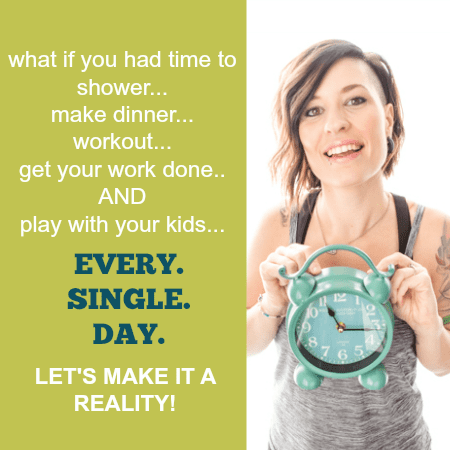 As a working mom myself, time is not something that I have a lot of. 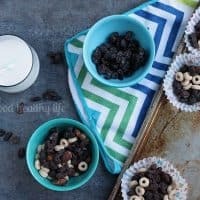 So I’m always on a mission to finding quick and easy snacks that are still healthy for my family. Like most kids, my son has quite the sweet tooth. Pretty sure he got that one from his mama. I am fortunate though that my son loves dark chocolate, a somewhat healthier alternative. It took a bit of work starting from milk chocolate and working my way up, and now he’ll eat the same dark chocolate I eat (at least 75%). So topping anything with dark chocolate is a sure win for me! To off-set the slightly bitter taste of dark chocolate, I wanted to use something that was naturally sweet. What better choice than to use California Raisins? (anyone else think of the singing & dancing cartoon raisins from the 80’s? Did I just age myself?) California Raisins are an all-natural, dried-by-the-sun fruit you can feel good about offering as an after-school snack. Or they’d be perfect packed in a lunch-box. The great thing about raisins is that they are so versatile, convenient, and portable. California Raisins are a great choice for wholesome, healthy, on-the-go snacking. They are a great value, too! According to the USDA, raisins are the most economical dried fruit. I don’t know about you, but that’s definitely something I can get on board with! 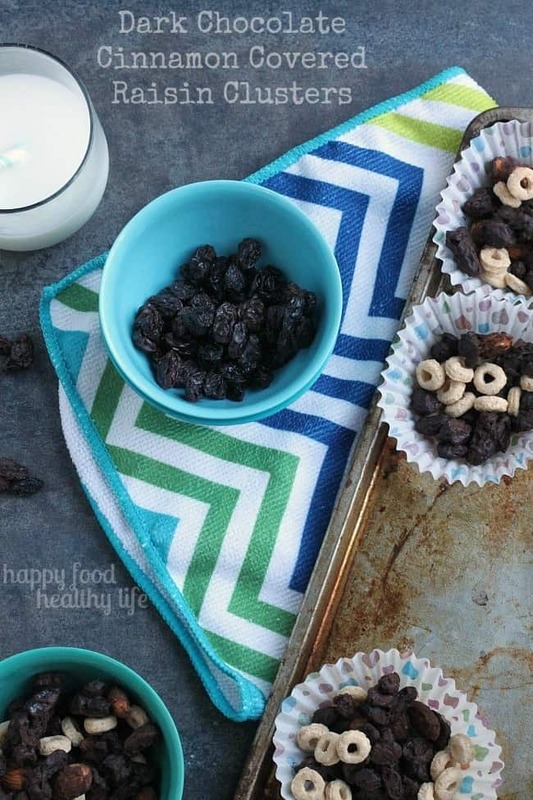 The next time you are struggling to come up with a healthy snack option, I hope your mind goes to raisins and all the things you can do with them. And the first step would be to make these clusters. Seriously guys, this is a snack I just love! The added crunch from the cheerios and almonds. And the sweetness paired with the slight bitterness of the dark chocolate. A perfect boost and a great solution to fighting that oh-so-needy sweet tooth! In a microwave-safe bowl, heat dark chocolate and cinnamon for about 30 seconds, and stir. Continue to do this until chocolate is completely melted and smooth. On a baking sheet lined with parchment paper, spread out the chocolate-y mixture. Sprinkle with cheerios. Place in the refrigerator for about an hour so the chocolate has a chance to set up. Portion out into snack-sized bags and enjoy! Visit www.loveyourraisins.com for more information about California Raisins and find them on Facebook where you can sign up to receive a California Raisins prize pack! Limited supply; while quantities last. I love raisins and dark chocolate, too. And they’re both good for you. Today I bought raisins to replenish my supply. sounds yummy. Dark chocolate is seriously my saving grace! It has gotten me out of many sweet-tooth “emergencies” when I really wanted to just binge on lots of ice cream haha. But this little snack is perfect for that sort of situation! Yes! The cinnamon is subtle, but it makes such a yummy difference!